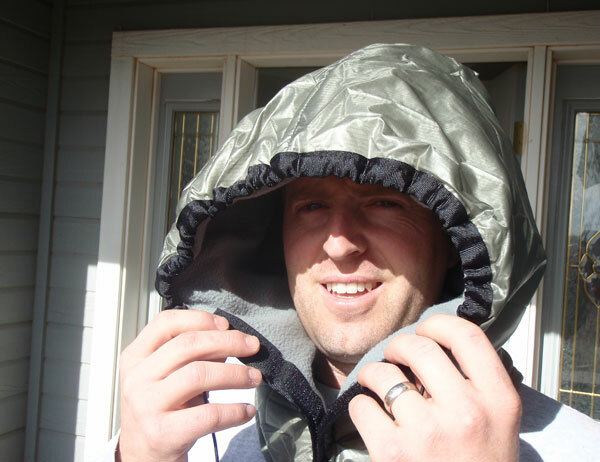 I’ve made a lot of these insulated hoods with varying styles of construction. 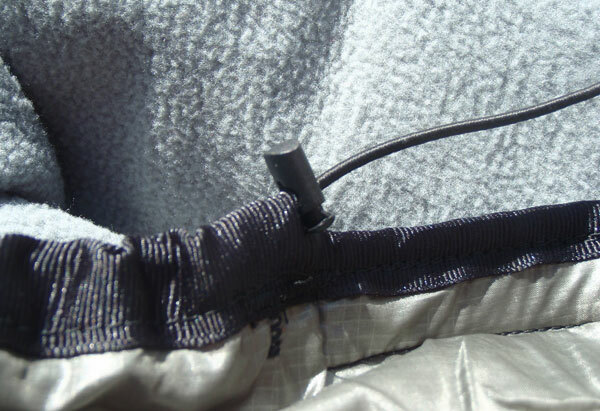 This is a really easy do-it-yourself (DIY) project, especially if you can use pieces from a fleece blanket that already has a nice hem that can work as a channel for a draw cord. I love DIY projects that are simple to construct. 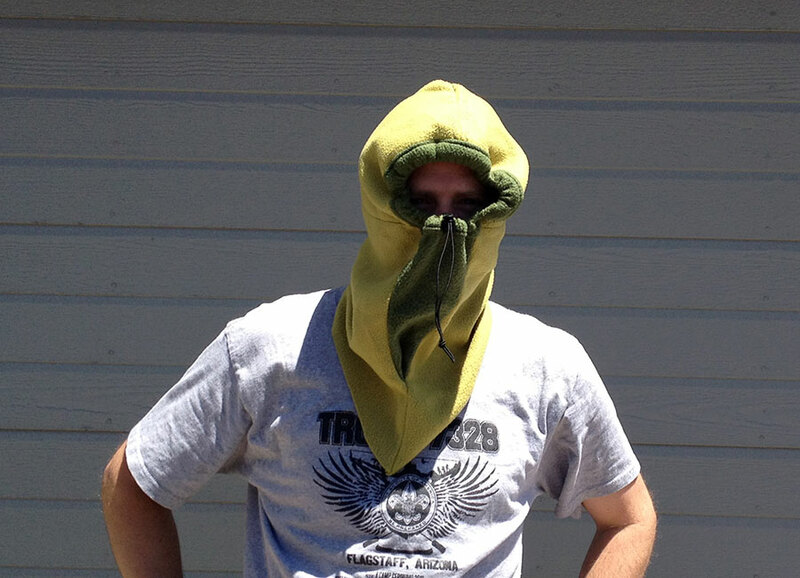 Hoods and balaclavas can get complicated when you want to build them with fitted contours, etc. 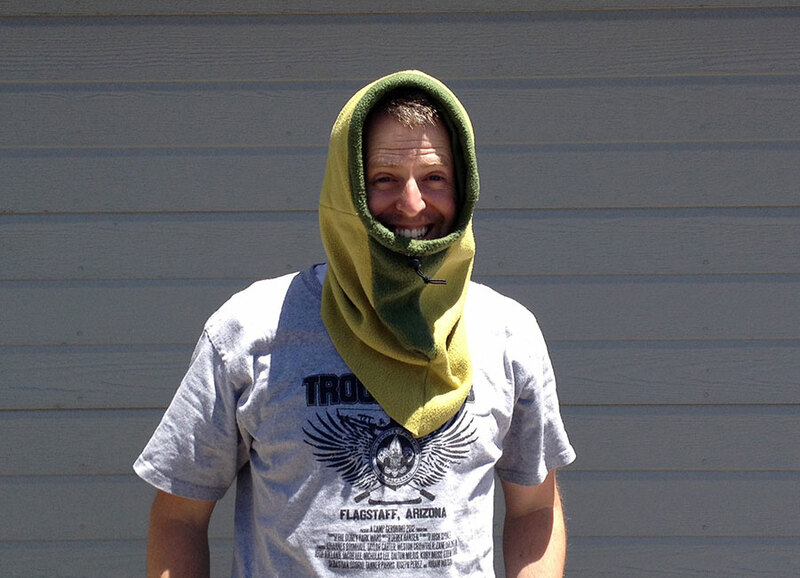 I’ve found that a simple tube works remarkable well and with the “face hole,” it allows me to wear the hood around my neck, or pulled up and over to be a beanie. 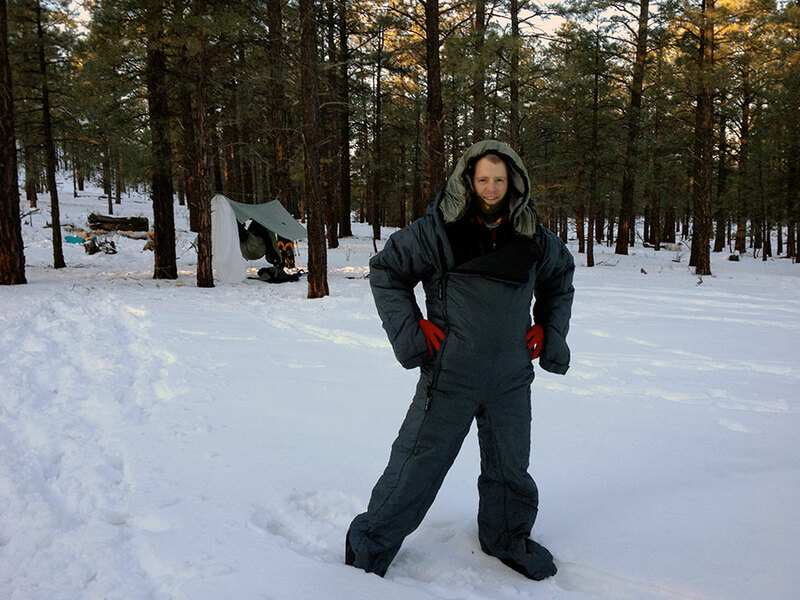 I’ve sewn layers of fleece or added insulation between outer layers to create very warm winter hoods that were absolutely roasting hot. 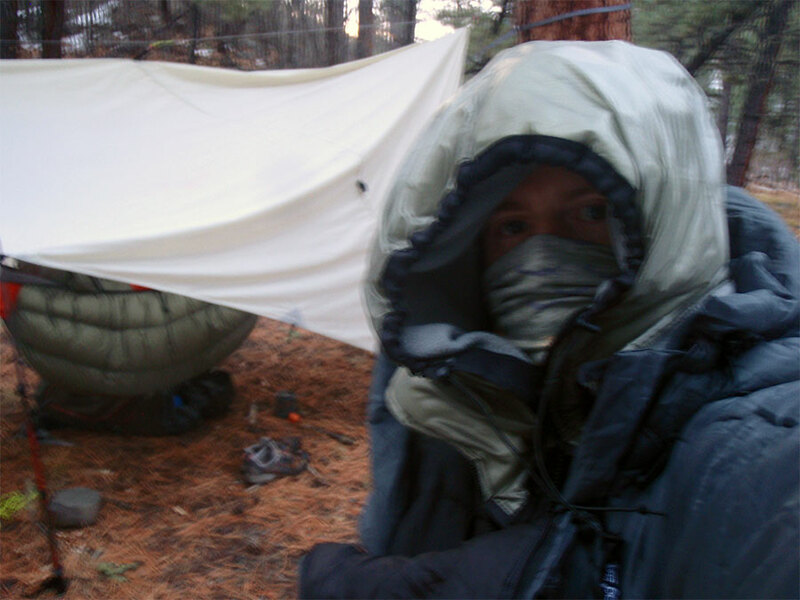 In three-season backpacking, I’ve found that using a single-layer hood/balaclava works wonders at keeping warm. 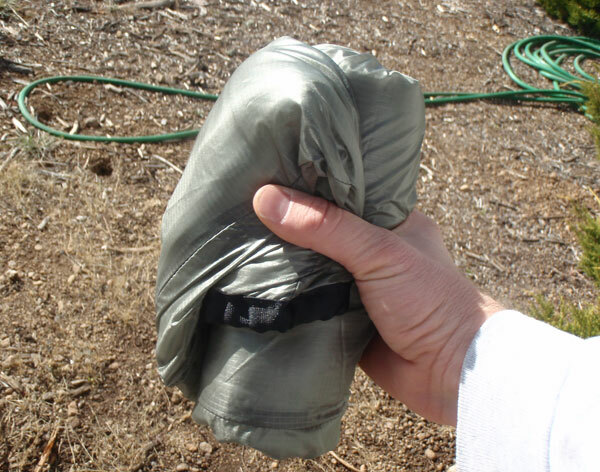 The 3-layer Insultex version I made weighs only 5 oz (142 g). 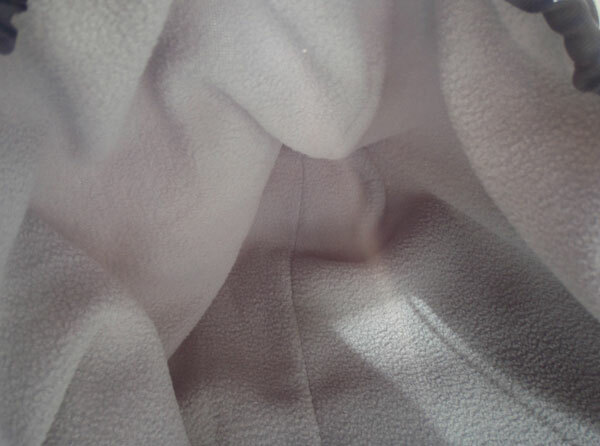 The single-layer fleece versions weigh around 2–3 oz (57–85 g). A blurry shot in the early morning. 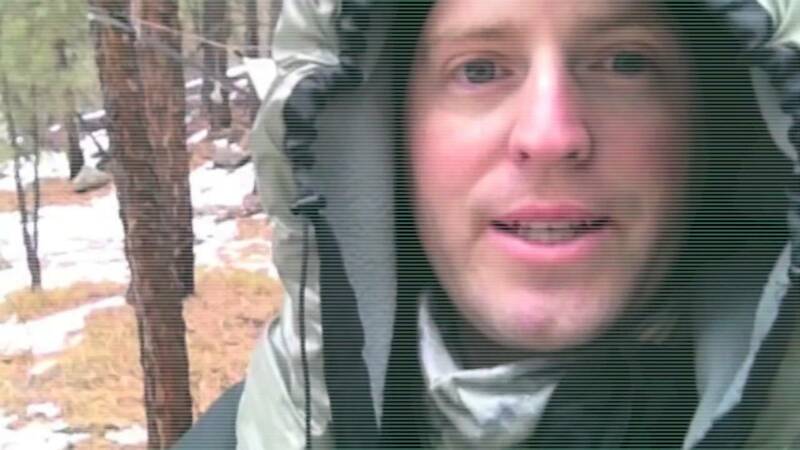 This shows my 3-layer insulated hood. SUPER hot. I used Velcro® Omni-Tape® to attach the front. I prefer to use elastic shock cord for the draw cord. 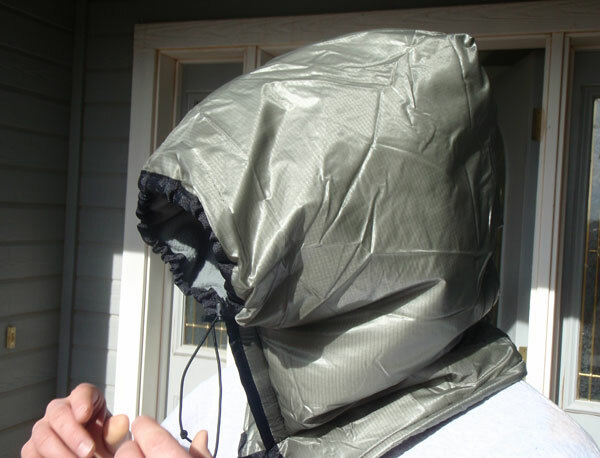 This allows me to pull the hood over my head without having to release the cord lock. It feels less claustrophobic to me in the middle of the night. Since this shell fabric doesn’t stretch, I made this hood wider and used the Velcro tabs to make it easier to put the hood on. 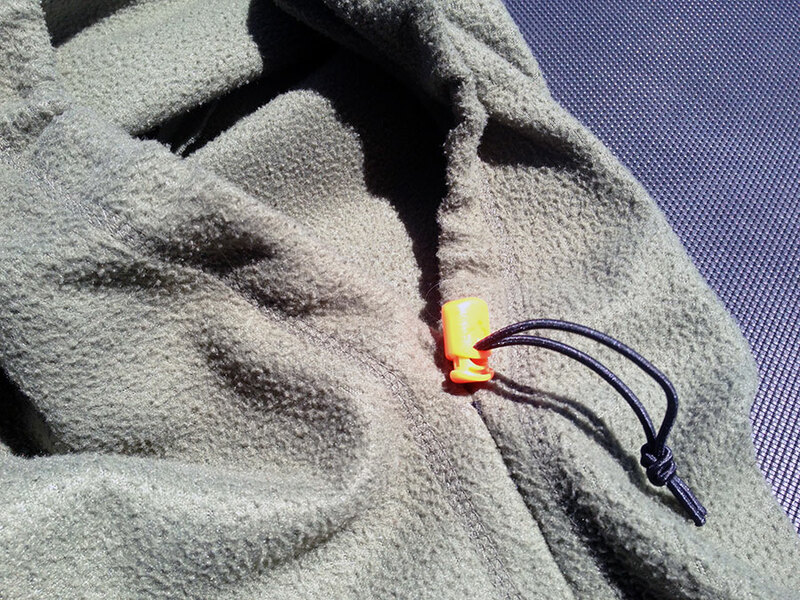 This is the simple, single-layer fleece hood with a cord lock. 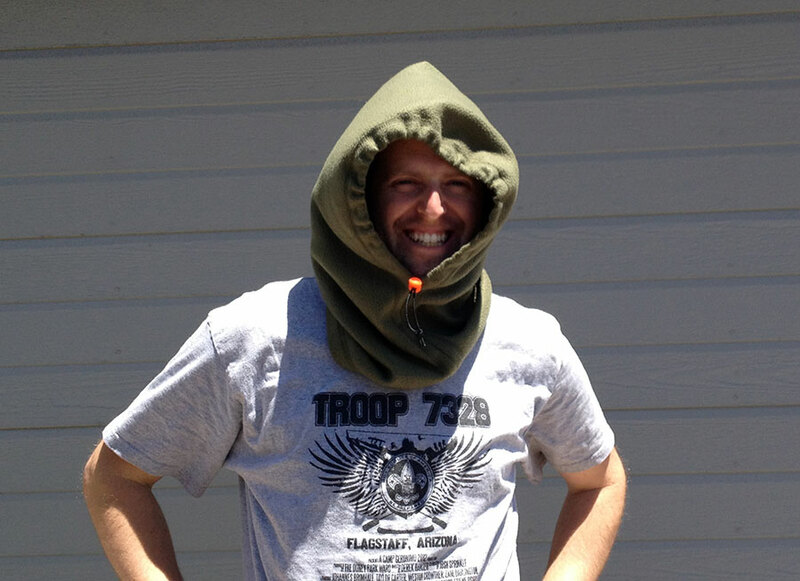 I made this hood with a more fitted taper around the neck and an extra strip of fabric in front to enclose my nose better. Here is the fitted hood cinched up. 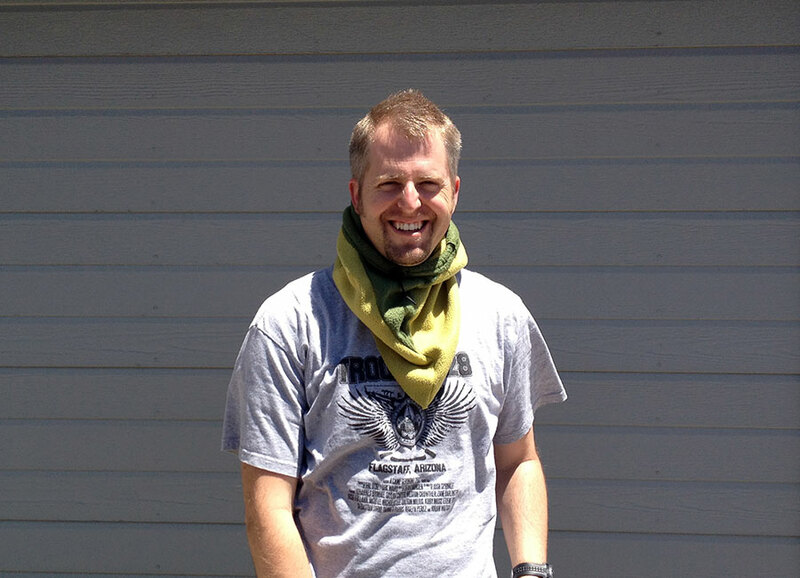 The trimmed neck comes down at an angle, which reduces weight and also removes excess fabric bunching around my neck. 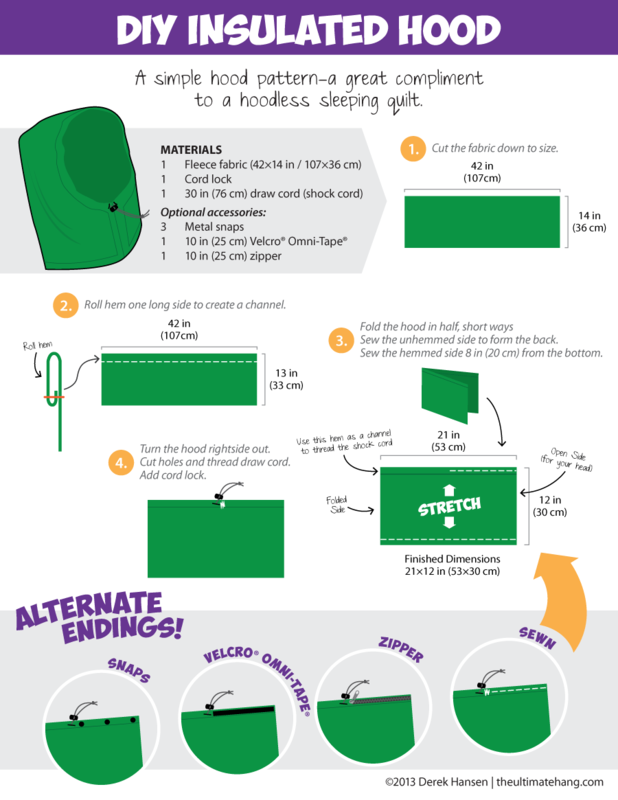 Do you have instructions or approximate dimensions on the fitted taper hood (the last one)? Love the book. 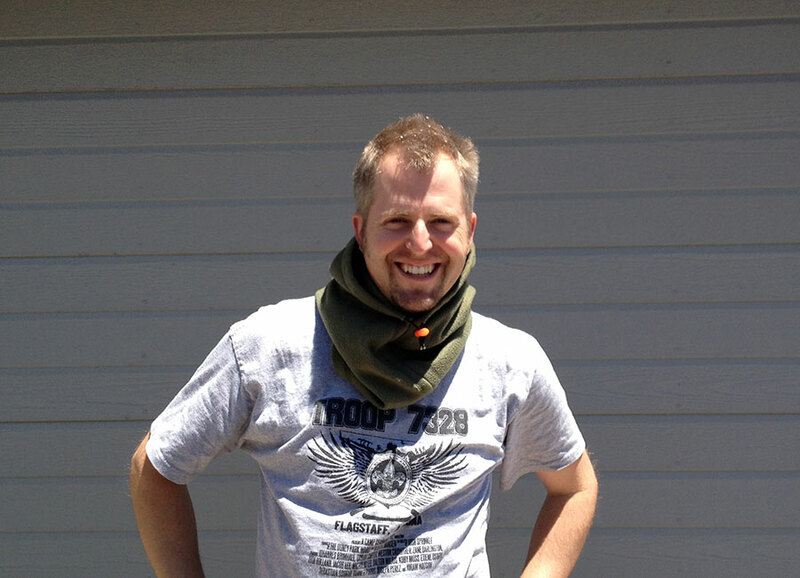 My son, who is a Scout, surprised me by asking questions about “widow-makers”. Obviously reading your book too. Thanks Roger! 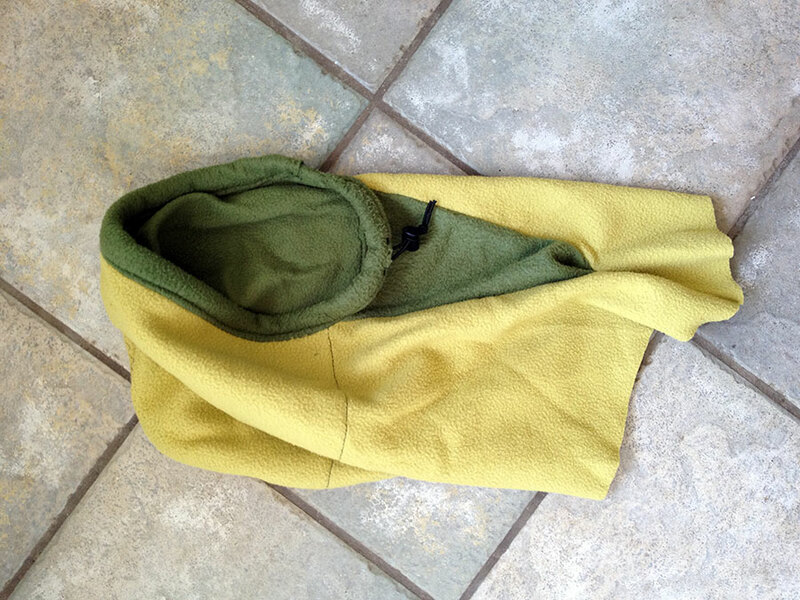 For the fitted hood, use the same overall pattern, only cut a triangle of fabric from the bottom, roughly a 45-degree angle from the back of the neck to the front. 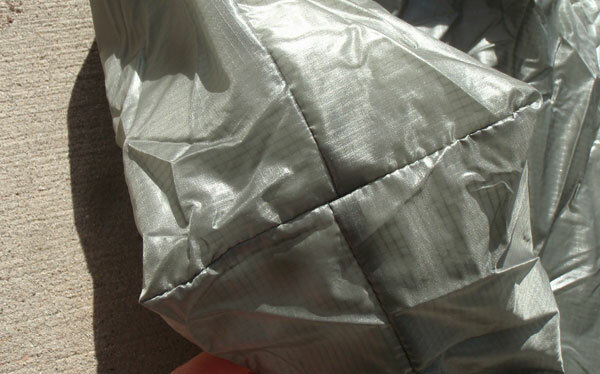 What this achieves is eliminating excess fabric to save a little weight and bulk. 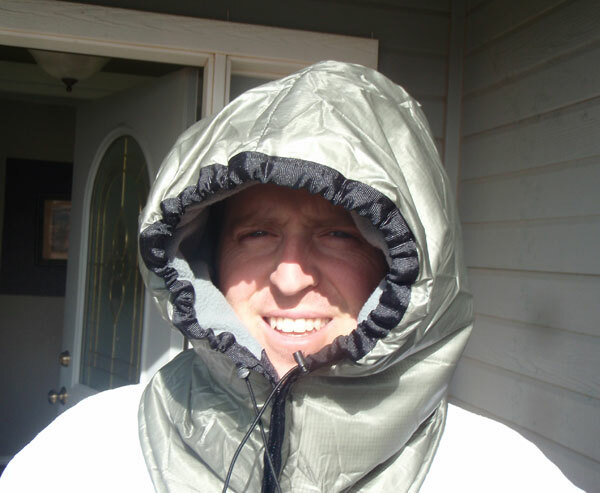 For one of these, I added a double layer of insulation around the head, but not the neck and it worked out great. You can also see how I added a triangle slit of fabric in the front to create a more 3D shape so I could cinch up the front around my nose. 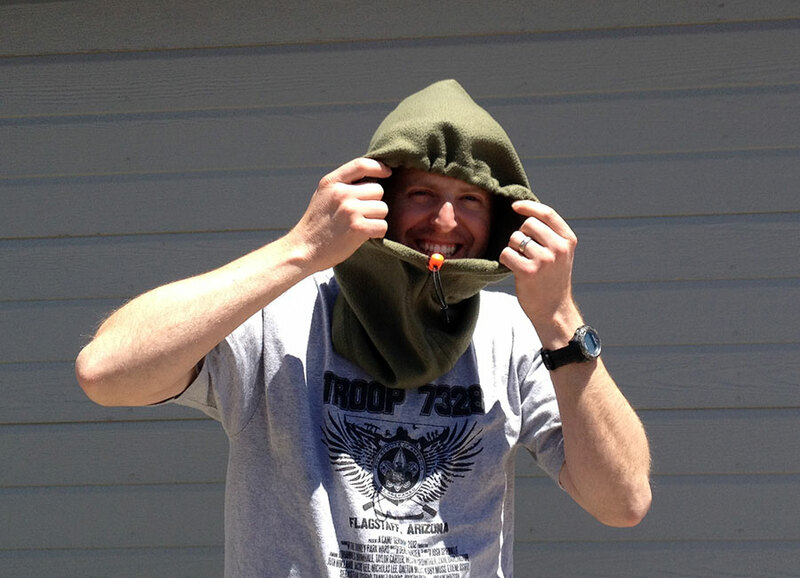 Super you also made hoods! Personally, the models I realize some years ago, were a little more complex, less “square”. And I had split legs that cover the upper back and torce, very nice against the cold! ooops!!! I didn’t leave the comment at the right place! Sorry.